Late-night cravings ho, ya last-minute guests, these Chocolate Laddoos are sure to pass the test. 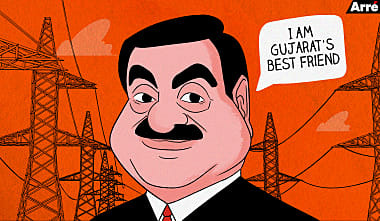 Money Matters	Yeh Dosti… Is Adani the Government’s Biggest Beneficiary? There's no better day than a #Sunday to bake this decadently rich and slightly spicy chocolate cake. So what are you waiting for? Make this #RakshaBandhan extra sweet and special by making these luscious chocolate truffles for your sister. Hello Friends, What in the World is an Anti-Satellite Weapon and What are We Celebrating Today?